As a mum to a now one year old (how was that happened?!) 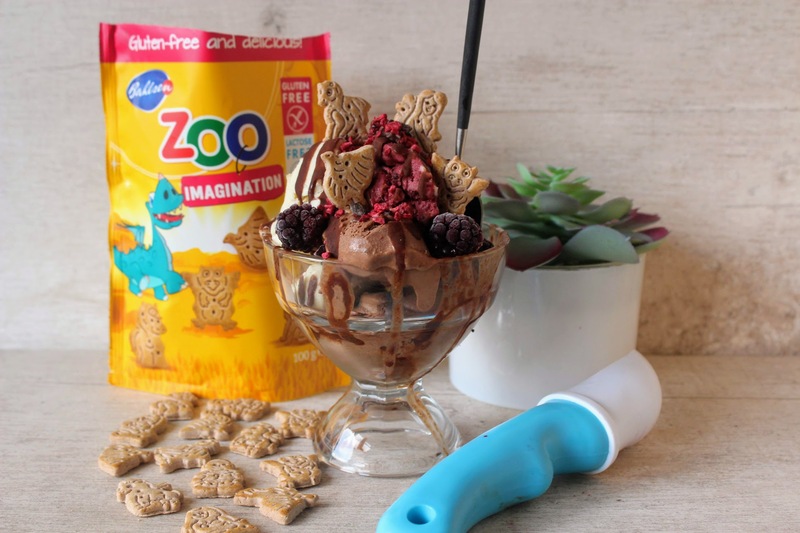 I was thrilled to be approached by biscuit brand Bahlsen, who make gluten-free, lactose-free Zoo Imagination treats for little ones. Using high quality ingredients, they have actually mastered making a delicious biscuit you’d never guess is free from gluten, woohoo! And yes that means I’m also a fan of these cute shaped biscuits just as Thomas is when we fancy a treat to nibble on! 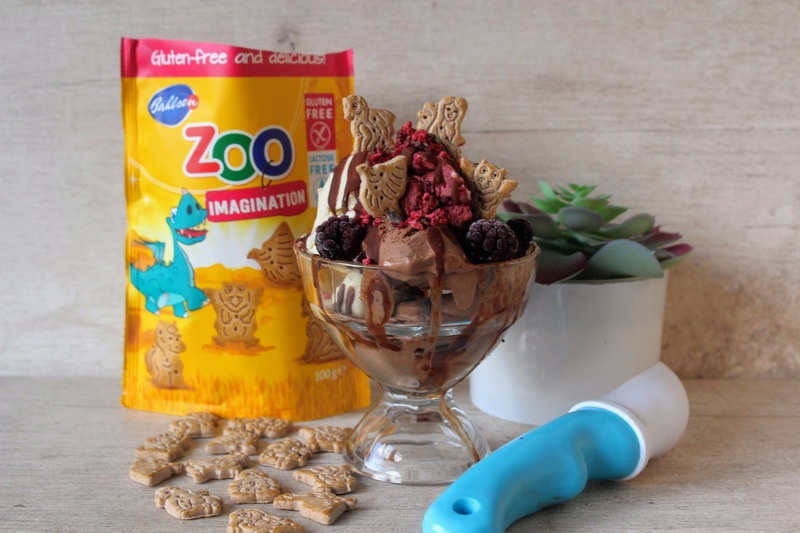 I was challenged to create a decadent (but still slightly healthy) ice cream sundae recipe topped with the delicious gluten-free Zoo Imagination treats. 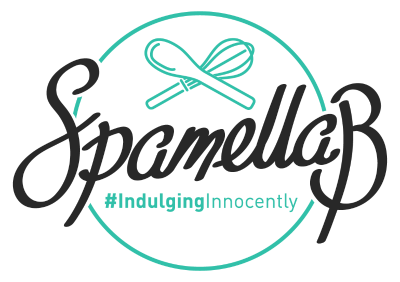 So with that in mind I thought: Let’s make it colourful, interesting and include flavours young ones will enjoy (just as much as adults). Making your own healthy ice cream made from frozen bananas is also super easy and fun to do, and adding a few different things to a basic mix means you can make a selection to result in a vibrant sundae! Divide the frozen bananas, coconut yogurt and maple syrup into 3 separate bowls and add the rest of the ingredients per ice cream flavour. Take it in turns to whizz up each one for at least 1 minute in a blender to result in thick, smooth ice cream. Place in small separate containers and freeze for 30 minutes. When ready to serve, remove each ice cream from the freezer a few minutes before. Meanwhile melt the coconut oil and maple syrup and whisk in the cacao/cocoa powder until smooth. 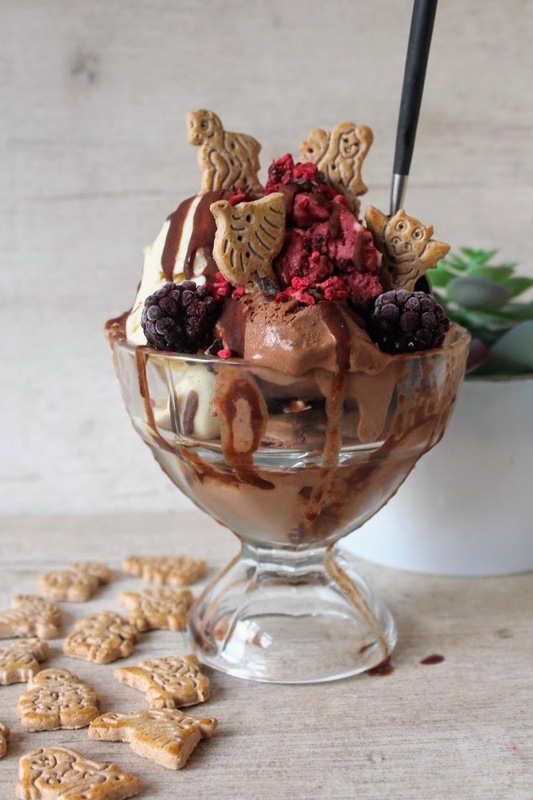 Scoop out each ice cream into a sundae dish then drizzle with the chocolate sauce, arrange the berries and Bahlsen biscuits and scatter over the cacao nibs and freeze-dried berries. Enjoy straight away! 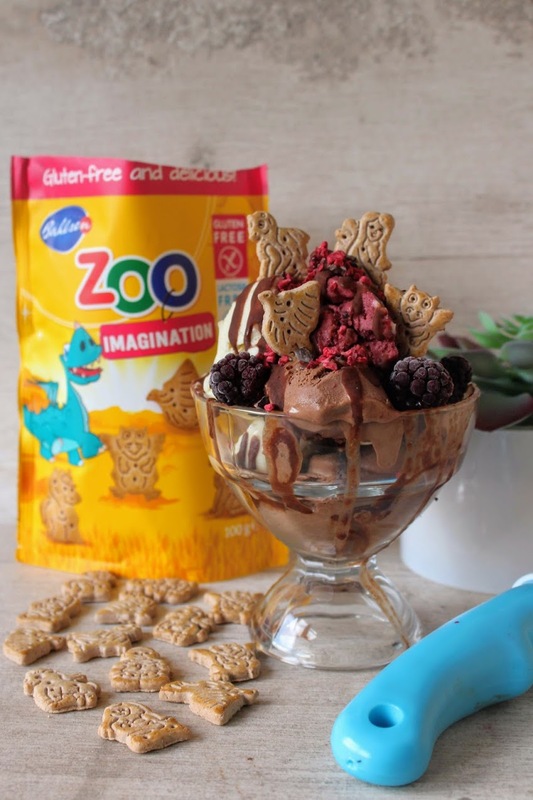 You can find Zoo Imagination biscuits in Tesco stores as well as Ocado and Morrisons across the UK.